Growing more enamored with the study of theology than with the God about whom you study. Perhaps you’ve seen the theological zealot who can talk extensively about theological systems and church councils, but who talks very little about actually knowing God and growing in His grace. Equating theological knowledge with faithfulness. That is, you’ll spend much time studying theology, but too little time applying your theology in your personal life. Increased knowledge—and even the ability to communicate it well—does not equal faithfulness and spiritual growth. Theologizing yourself out of doing the Great Commission. I have no desire with this post to raise theological debates, but I can’t ignore my concern here: any theology that does not compel us to speak of Christ to our neighbors and the nations is not a biblical theology. Divorcing your study of theology from the local church. 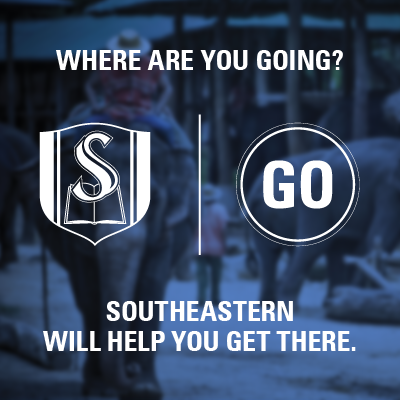 I believe in what seminaries do—and, frankly, I’d love to study at the feet of my colleagues at SEBTS—but learning and teaching theology must be centered in the local church. Still, though, I’ve known some folks who love discussing theology yet have little commitment to the local Body of Christ. The theologian who can discuss ecclesiology without investing and serving through the church doesn’t really understand the doctrine. Becoming arrogant about your theological knowledge even while the Bible calls us to humility. It’s easy to do, actually. You love the topics, and you invest significant time in their study. Others who don’t share that same level of passion surely cannot know as much as you—and your love of knowledge subtly becomes love of self. Separating your head knowledge from your heart obedience. Studying the Word of God to learn its teachings should affect our head and our heart; it should call us to obedience to a holy God. The danger is that you might speak ardently about holiness even while you tolerate sin in your own life. Deciding that anyone who doesn’t agree with you on every theological point is wrong. I’ve always appreciated Dr. Albert Mohler’s work on “theological triage,” as he helps us determine those first-level non-negotiables that must separate us and those third-level positions that needn’t cause division. I fear that some enthusiastic theologians make everything a first-level issue. What other dangers might you include in this list? Great words of wisdom! I have learned some new things about my life. Thanks for sharing! Could you write a follow-up piece: “7 Dangers of NOT Studying Theology?” This was totally clutch, but I think the other side would helpful too. Substituting study for prayer. Theology never moves mountains, but prayer does. I think another danger is allowing our “system” of theology to determine how we interpret the Bible. Any system can be unhelpful when we begin to see biblical truth only in the light of what we already believe.